Blight Warnings - latest for Ireland. Posted: Sun Jun 08, 2008 12:45 am Post subject: Blight Warnings - latest for Ireland. 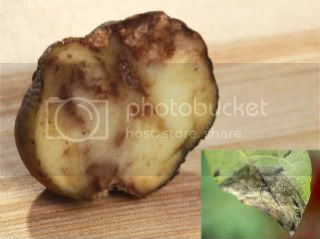 Conditions favouring the spread of potato blight will occur from Monday evening until late Tuesday in many parts of the country. Further info... Potato blight, how to treat Phytophthora infestans.